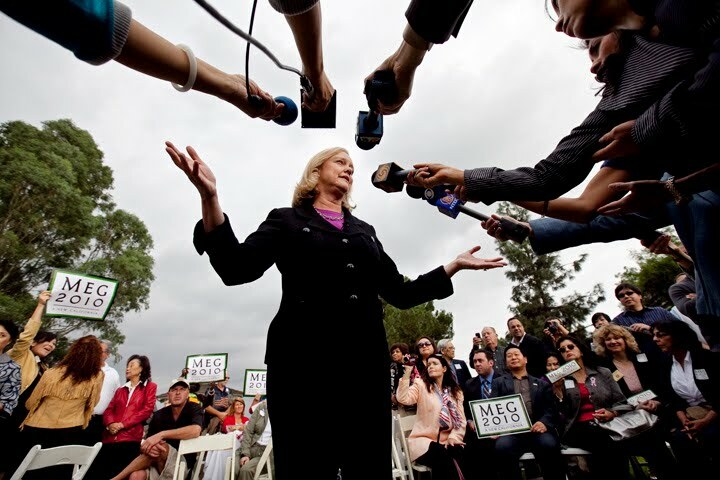 According to Steve Lopez of the L.A. Times, republican gubernatorial candidate Meg Whitman has spent $141 million dollars in pursuit of becoming California's first female Governor. The L.A. Times reports that with the money she has spent so far, it would be enough to buy every Californian two medium Domino's pizza with two toppings of your choice. The L.A. Weekly also adds "wouldn't you rather have had the pizzas?" Wonder what we would get from Jerry Brown's campaign, a half tank of gas?